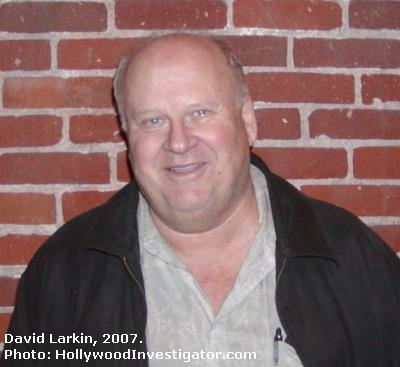 [HollywoodInvestigator.com] David Larkin is known to California Libertarians for his activism, most recently serving two years as Los Angeles County LP Chair (2004 - 06). His activism encompasses many libertarian issues that he's studied over the years. But when it comes to his antiwar activism, Larkin speaks from experience -- he'd fought in Vietnam. A war for which he volunteered. 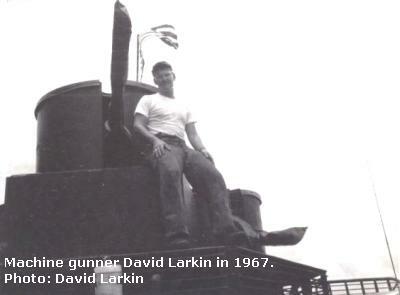 Larkin joined the U.S. Navy Reserve in 1964 while still in high school. In 1966 he became active duty and worked in the USS Okanogan's boiler room. "The worst job on the ship," said Larkin. "One of our chiefs came up to me and said, 'They're looking for volunteers for Vietnam, you wanna go?' I said, 'Can I think about it?' He said, 'Yeah, I'll give you 30 seconds.' So I said, 'I'll go.' I figured anything was better than working in the boiler room." 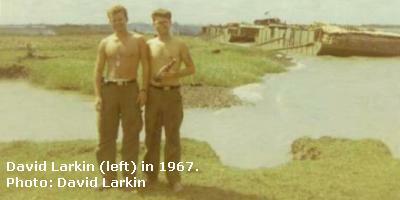 After additional training, Larkin was flown to Vietnam in April 1967. Thirty-six hours flying time from San Diego to Saigon on a four-engine propeller plane. He landed at Tansanute Air Force Base and was assigned to a naval patrol on the Mekong Delta and Saigon River. One of seven men in his boat's crew. "We were Rivron 111-1," said Larkin. "Part of the transports. Drop troops off, pick them up. Provide fire if needed. Generally, in the Navy you have two jobs. A regular job -- I worked as an engineman. And your general quarters job -- I was a machine gunner on general quarters. I had a 50 caliber machine gun and an automatic grenade launcher. "There were other types of boats in our group. 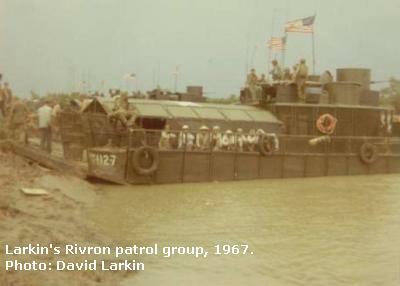 A kind of patrol boat, not for carrying troops, just for fighting. Another like a battleship. Over time, the Navy developed lots of different weapons, because the VC would fire at you from these hardened bunkers. They were like adobe, made of clay, sunbaked. Even a 50 caliber round wouldn't penetrate one of those things. "We had the same problem they have now in Iraq. They'd ambush you from the side and shoot rockets, RPGs. We had a lot of armor. They made the boat wider to accommodate the extra weight, for buoyancy. But RPGs can penetrate armor plate like a hot knife through butter. Our armor was about 3/4 of an inch thick. It'd stop a heavy bullet, 50 caliber, but not these RPGs. It's called a shape charge. They detonate against the armor and blow a hole through it. If you're on the other side, too bad for you." Seeking a solution, the crew welded rebar to the boat. "The RPGs would hit these outside bars first and detonate," said Larkin. "This widens the blast, so it's not concentrated, and the armor can stop it. Well, that's how it worked in theory. But it still detonated the armor, and guys were killed." Larkin recounts being under enemy fire. "One night we were cruising up the channel. I was cockswain, on the wheel driving the boat. All of a sudden a rocket shot across and hit the boat ahead of us. Boom! Stuff flying everywhere. "Well, the armor saved them, nobody got hurt. But I didn't want to cross the line of fire, so I threw the engines in reverse. I heard rockets go whoosh, exploding. Two or three more fired. Maybe they were shooting at us but they missed. Had it hit the armor where I was, there wasn't any rebar. It'd have wiped me out. We lost one guy like that. One of those things hit, turned him into jello on the inside. "I kind of saw the futility of it all. How we treated the Vietnamese, not really good. I remember a fisherman. We took him off his boat. He didn't get tortured, but we took him for questioning. We brought him back at the end of the day. Well, the boats leak. They have to constantly bail them. When we came back, his boat was under water. He was madder than a wet hen. I thought to myself, if he wasn't a Vietcong before, he probably is now. "I saw a lot of incidents like that. We wanted to get the people on our side. Instead we infuriated them half the time. Not that we didn't do good deeds. We'd throw them our C-rations and stuff like that. We tried to help them when we could. "It's kind of how libertarians see the government. An elephant in a china shop. They may have the intention of doing well, but they just manage, with their brute force, to screw things up." 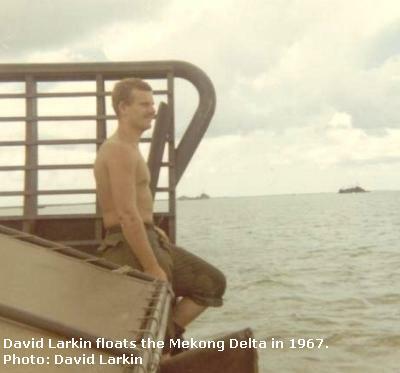 Larkin returned to the U.S. in October 1967 with a Navy commendation medal bearing a combat V. "I was still in favor of the war, because this was before I became a libertarian. But I began to have questions about it. I don't know what the medal was for. Burglars stole it last year. I still have the citation for it." "When the Gulf War came, I was not antiwar, because I identified with our troops. But later I saw that a lot of the information and justification for the war was spin, and not necessarily true." Larkin has since continued his political education, and has opposed the recent wars in the Balkans and the Mideast. He can't understand why any libertarian would feel otherwise. "What really shocked me was libertarians agreeing with the government's use of torture. I've had some libertarians say, 'These are bad people, torture's okay in this case,' forgetting everything the party stands for. Everything that liberty and freedom are about. "Plus, this war's costing us a fortune. It's devastating our economy. We're spending so much on this military that is not redeemable. That's not doing anything for us. The average citizen, I don't believe, benefits from this stuff. They maybe say, it's protecting him, but I don't think so. It's just making the risk of [future] war very high. "Democrats waste a lot of money, but at least it's spent here, on stupid social projects. Those are preferable to war. "Being libertarians, being against the war on drugs, you know what the government is like. You know how they spin. How could they be so bad in everything else and good about this war?"